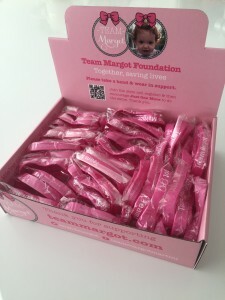 We’re delighted that our new Team Margot wristband display boxes are starting to get around & demonstrate their worth. 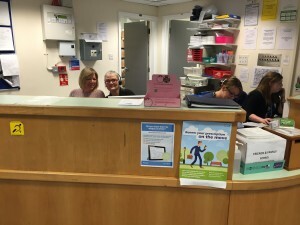 I recently popped my head into our local GP surgery to touch base with the fabulous Pauline on reception (pictured wearing the headset), who has been liaising with my sister, Nadia. I was both surprised and delighted to find one of our boxes in pride of place, bang in the middle of the reception counter. 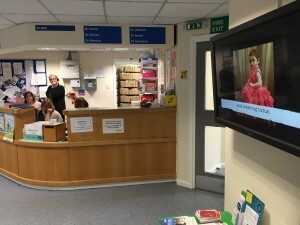 Even better still, the TV notice board in the surgery waiting room features our Team Margot 2015 appeal video, which regularly appears on a loop throughout the day (scroll down to watch). 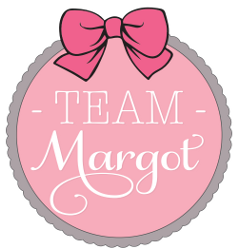 I noted that the box is ready for a refill (to request more wristbands for your display box, simply email me on info@teammargot.com) and Pauline asked me for two additional boxes for placing in the other waiting areas as well. 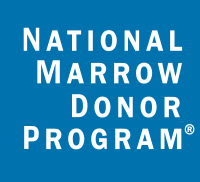 Its thrilling to know that these boxes are playing a part in helping to raise awareness. 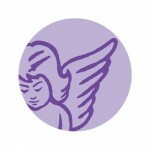 They simply encourage people to support by learning about what we do and wearing a wristband. If you’re working in an environment which you believe will be suitable for one of our display boxes, please drop me an email. And then send us a photograph of the box in situ.